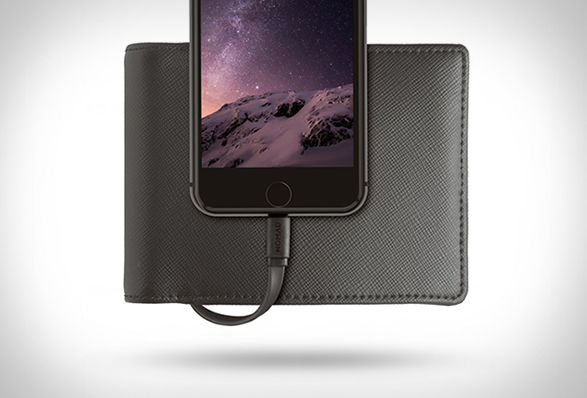 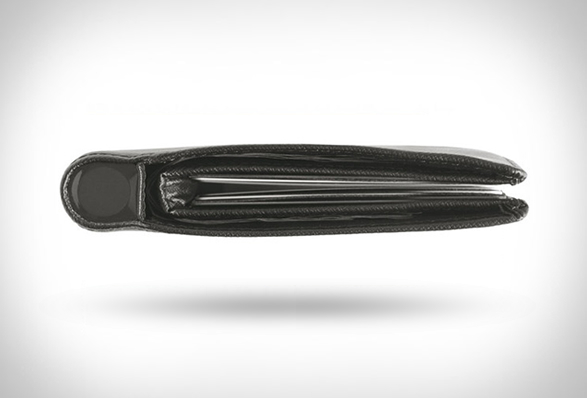 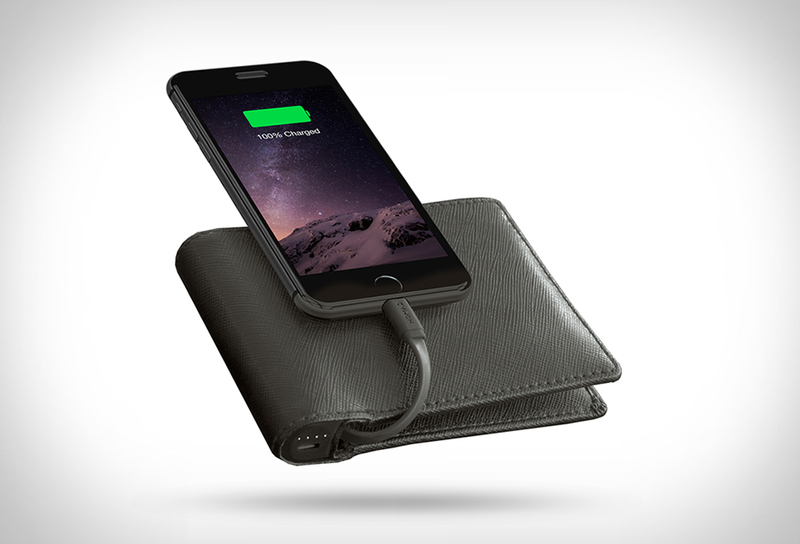 The ingenious Nomad Wallet comes with a built-in battery & lightning cable, capable of providing a full charge for your iPhone! 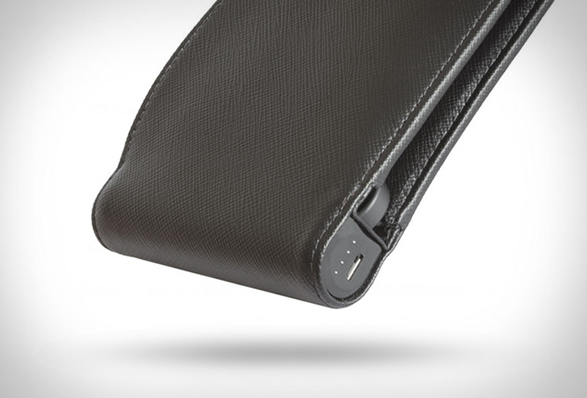 The sleek accessory is the size of a standard wallet, but hides an ultra compact 2400mAh battery cleverly placed on the spine. 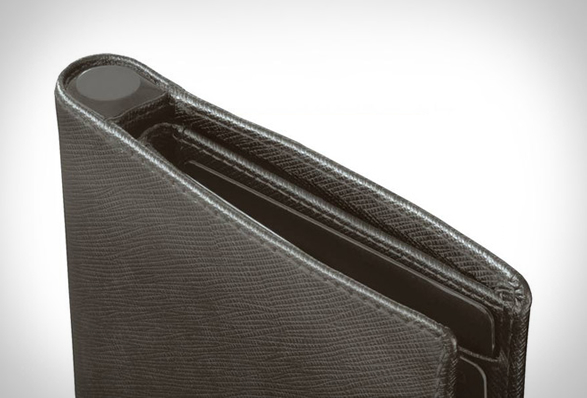 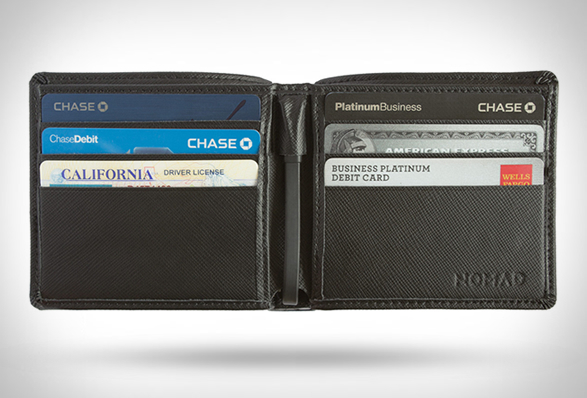 Made with high quality leather wallet, it is no thicker than your average wallet, and has room for all your cards and bills.